Cleveland Central Promise Neighborhood is helping Central children prepare for kindergarten by providing KinderKits to 100 Pre-K students who will be entering kindergarten in Fall of 2017. Students graduating from Pre-K programs at George Washington Carver Elementary and Marion-Sterling Elementary will have the summer to explore and learn using their KinderKits. In 2015, when 26 kindergartners walked into Benjamin Colas’ classroom for their first day of school at Alfred A. Benesch, Colas was surprised to learn that only one of them knew the alphabet. Two of the students recognized numbers, and many had never held a pencil before. This meant that instead of preparing the students for first grade, Colas had to spend months trying to help catch students up on basic concepts like counting and categorizing. As the school year went on, he came up with an idea to create a child development tool families could use at home to help make incoming kindergartners more likely to succeed at school. 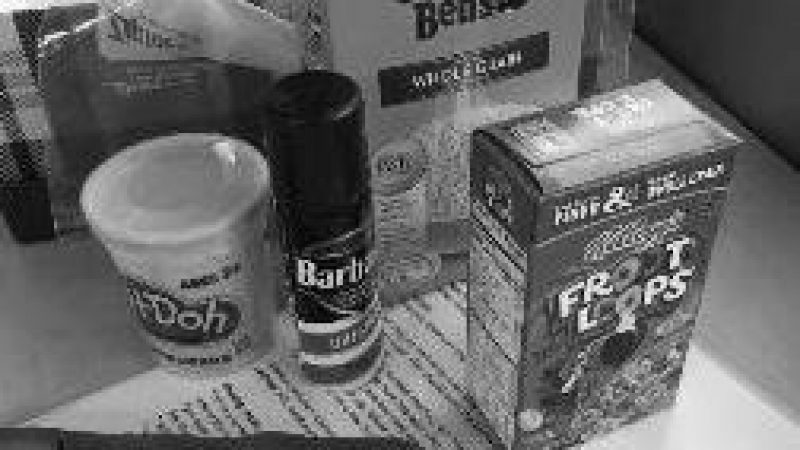 So Colas developed a kit that comes in a drawstring bag and consists of everyday items — like shaving cream, cereal and beans — that most families have around the house. KinderKits are designed to empower parents and caregivers to take an active role in their children’s education. Each KinderKit comes with instructions for parents and caregivers on how to use the items for educational activities. One activity instructs them to smear shaving cream on a surface and help children use their fingers to draw numbers and letters. There’s also Play-Doh and a mat with different shapes, which children can use to mold the Play-Doh, and start to recognize and identify shapes. Parents and caregivers can use Froot Loops to help children sort by color, count how many pieces are in a pile, and calculate how many are left after the child eats some of the cereal. Colas noticed that even though his students didn’t seem prepared, it wasn’t because their parents and caregivers weren’t concerned. He said one mother told him she wished she had known the expectations for her child upon entering kindergarten. Colas is working with Cleveland Central Promise Neighborhood partner Starting Point, a childcare and early childhood education nonprofit to distribute the kits to families as well. Cleveland Central Promise Neighborhood early learning navigator Tatiana Wells said the kits have the potential to give incoming kindergartners the boost they need to keep up with their peers. “If they are failing already in kindergarten, they are not going to be able to succeed in other grades, and it affects them throughout their academic career,” Wells said. In 2016, Starting Point helped Colas distribute about 250 kits to childcare centers and families in Central. The long-term plan is to distribute Kinder Kits to the families of every incoming kindergartner in Cleveland. The Cleveland Central Promise Neighborhood is a collective impact initiative that works to transform the educational and developmental outcomes of children in Cleveland’s Central Neighborhood. The Promise Neighborhood develops an environment and culture where families feel supported so their children can achieve academic, and ultimately, career success.